Press release from U.S. Army…. FORT BRAGG, N.C. (USASOC News Service, Dec. 5, 2014) – Staff Sgt. 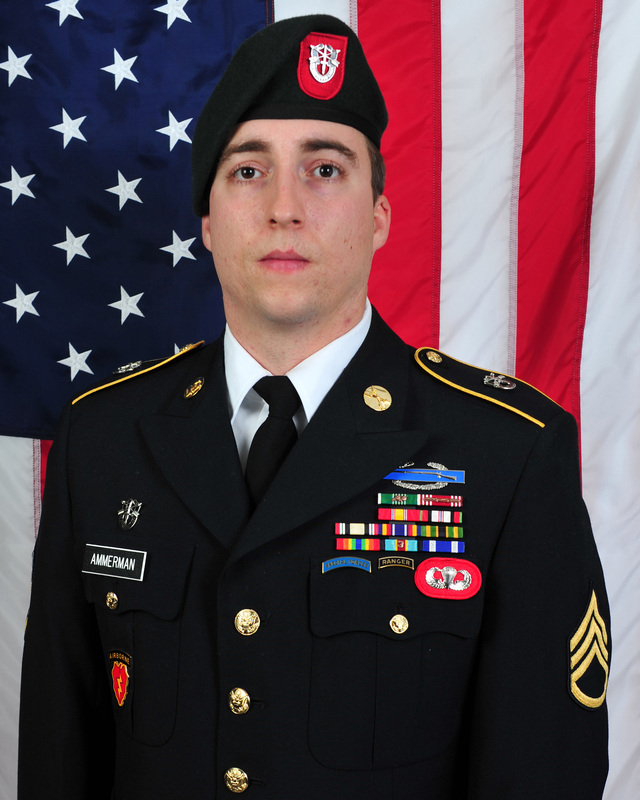 Matthew Ammerman, a native of Noblesville, Ind., was assigned to 3rd Battalion, 7th Special Forces Group (Airborne) when he died Dec. 3, 2014, as a result of wounds received in combat. Ammerman joined the Army in July 2004, attending basic and advanced individual training as well as the U.S. Army Airborne School at Fort Benning, Georgia. He was then assigned to 3rd Battalion, 509th Infantry Battalion (Airborne) based at Fort Richardson, Alaska, as an anti-armor specialist. Ammerman deployed twice with the unit, once to Iraq in 2006 for 14 months, and later to Afghanistan in 2009 for 12 months, serving as an assistant gunner, fire team leader and squad leader.